From left: Mr. Richard Sincere, TAU Vice President Prof. Raanan Rein, and Director of the Moshe Dayan Center Prof. Uzi Rabi. 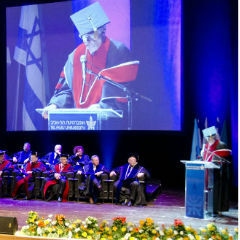 The Debra and Richard Sincere Tel Aviv University Project in Middle Eastern Studies was officially initiated at a ceremony on May 15th, during Tel Aviv University's annual Board of Governors Meeting. The innovative project will award substantial scholarships to outstanding doctoral students at Tel Aviv University's top-rated think tank, The Moshe Dayan Center for Middle Eastern and African Studies. The gift will also support joint academic activities with the Mosse/Weinstein Center for Jewish Studies at the University of Wisconsin, Madison, including research seminars and conferences, faculty and student exchanges, and, in the future, co-taught on-line courses. Mr. Sincere, Chairman and CEO of the third party marketing and distribution firm Sincere & Co., LLC, is an alumnus of both institutions. He is a member of Tel Aviv University's Board of Governors and of TAU's Recanati Business School Faculty Board of Directors, and is Secretary of American Friends of Tel Aviv University's Board of Directors. Many members of the American delegation to the Board of Governors Meeting were among the distinguished guests on hand to applaud the unveiling at the Moshe Dayan Center Library, including AFTAU's Chairman Jon Gurkoff and President & CEO Gail Reiss. Director of the Moshe Dayan Center Prof. Uzi Rabi addressed the crowd, saying, "I want to deeply thank Richard and Debra for their immense contribution. I believe this will pave the way for lasting cooperation between Tel Aviv University and Richard's alma mater, the University of Wisconsin, Madison." "As a 20-year-old college student," Richard Sincere told the guests, "I saw a building being donated and thought: I want to be able to do that. Well, perhaps not so big today, but the point is — all of us can change the world." To that end, the innovative Debra and Richard Sincere Project can serve as a model for other philanthropists who wish to support and connect two universities on different continents. "Tel Aviv University and University of Wisconsin, Madison have two of the best history departments in the world," Sincere added. "We are dedicated to getting scholars from both sides together." And he urged the two students who will receive the first scholarships — one from the United States and one from Turkey — to "Keep on making a difference." Jon Gurkoff shared a few details about his valued friend and colleague. "Richard's life was changed by his experience at TAU as an overseas student," he explained. 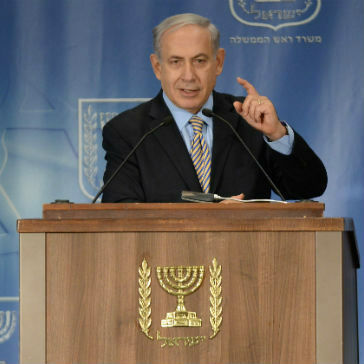 "No one has more enthusiasm for Israel. He just arrives in Tel Aviv and lights up. His enthusiasm is boundless for everything he does, and he’s a true leader. He really — 'sincerely' — wants to make a difference." 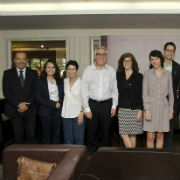 University Vice President Prof. Raanan Rein raised a glass in a toast of thanks. "The Sinceres' gift is a major of vote of confidence for the Moshe Dayan Center — one of the top such research hubs in the world," he said. "It's not only about our experts, but also our up-and-coming researchers: A key part of sustaining and expanding the Moshe Dayan Center's efforts is by nurturing the next generations of experts. Toward this end, a significant portion of the Sinceres' donation will go toward graduate students here in Middle Eastern Studies at TAU, helping them with their tuition and making the road toward doctoral studies easier."